Harry was signed over to us when his owner could no longer look after him. He loves coming out for a play & cuddles. Harry is quite a large cat and enjoys lots of attention, he previously lived with his brother but we believe he would be happier as an only pet. 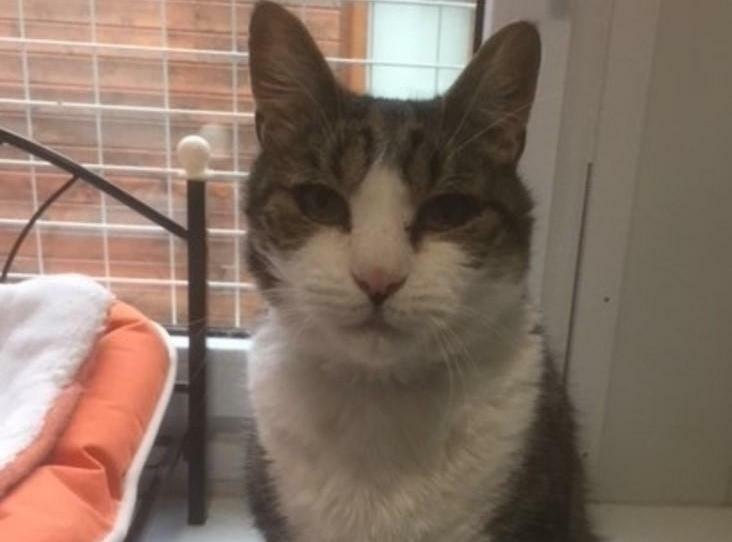 He is neutered, microchipped, vaccinated, vet checked including a health check designed for older cats and had flea and worm treatments. If you would like to come and meet Harry, please complete the online form.